"His lips drink water but his heart drinks wine." -- E.E. Cummings. One of our favorite places to go for aperitivo is in Buonconvento at L'Enoteca della Porta di Sotto. Not only is the menu a fantastic accompaniment for wine tasting, and the wine selection optimal, but it's always fun to get to know the locals and visiting locals. My new friend on the right is a nuclear scientist from Montreal who lives in Switzerland and has a house outside Buonconvento to walk in the quiet of the country to think. The countryside here is truly like no other with perhaps unparalleled beauty and definite peace. The other gentleman is from Montalcino and knows everybody. "One should always be drunk. That's all that matters. . . . But with what? With wine, with poetry, or with virtue, as you choose. But get drunk." -- Charles Baudelaire. Saying Goodbye to 2017 and Hello to A New Vintage! Welcome 2018! There are so many things I am looking forward to in 2018 that are completely new to me in my life. 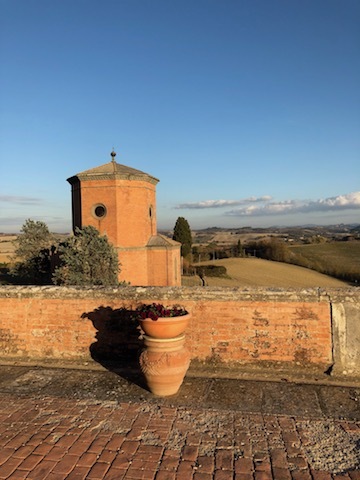 I've never lived in Italy or the Old World before and I am extremely thrilled to move into our new house in Siena in a few weeks. 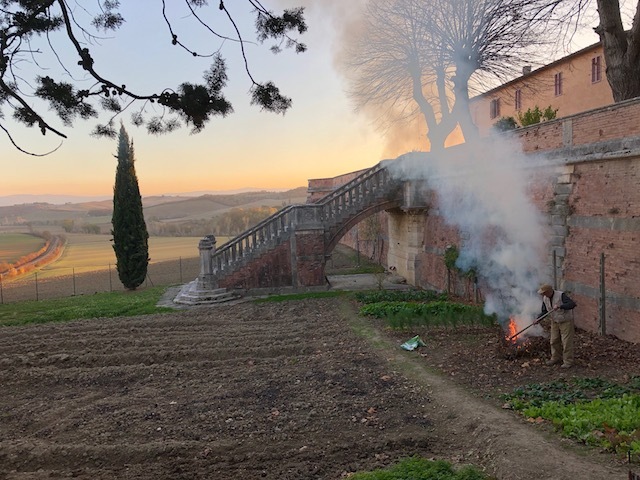 We've been traveling since October 2017 -- leaving behind fires in Napa, arriving to Turks and Caicos after the worst hurricane in decades, passing through NYC with speed and excitement, to arriving to Italy as the season turned into rain and a mild winter. Finding a place to rent in the country as not as easy as it is in the U.S. and I am just thrilled that we finally found something that we love. I look forward to cooking in my new home and trying to recreate some of the traditional recipes of this region as well as introduce some international dishes I love to our friends here. 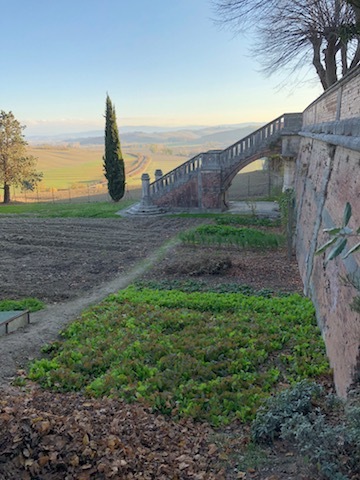 I look forward to finally speaking Italian really well -- which is still in the works -- and I look forward to just discovering every nook and cranny of this amazing place I am blessed to now call home. The greatest gift though is to finally live with family and to raise our son around his great grandparents, grandparents, aunts/uncles and cousins. It's a whole new world. 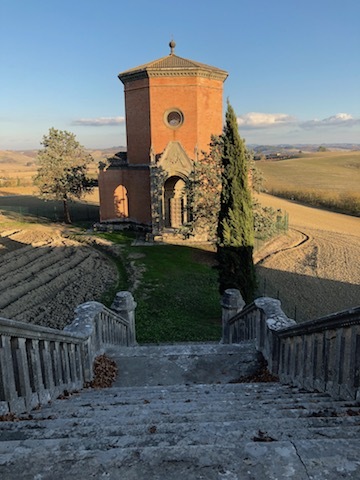 As beautiful as driving through the Tuscan landscape can be, it is equally scary sometimes when you arrive to these small towns with roads big enough for one car -- yet are built for two. The Italian drivers don't even slow down. Sometimes there are even trucks passing through these narrow streets and people walking alongside the non-existent sidewalks. But! It is stunning nevertheless. The cheese selection in Italy is as good as it looks. 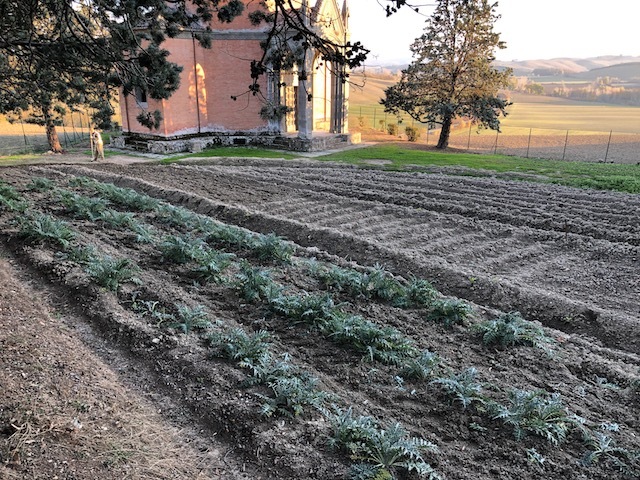 I feel very blessed that we get much of our vegetables, chicken, hen, and pigeon from this stunning property in Quinciano, Siena, Tuscany. My husband's grandfather Nonno Bruno has been farming this property for over forty years. They used to have vineyards until nonno became too old to work them. He practically made his own wine to drink for most of his life. It was a sad day when he drank the last gallon.